Home / Index category / FC Barcelona Lassa win King’s Cup 2016! 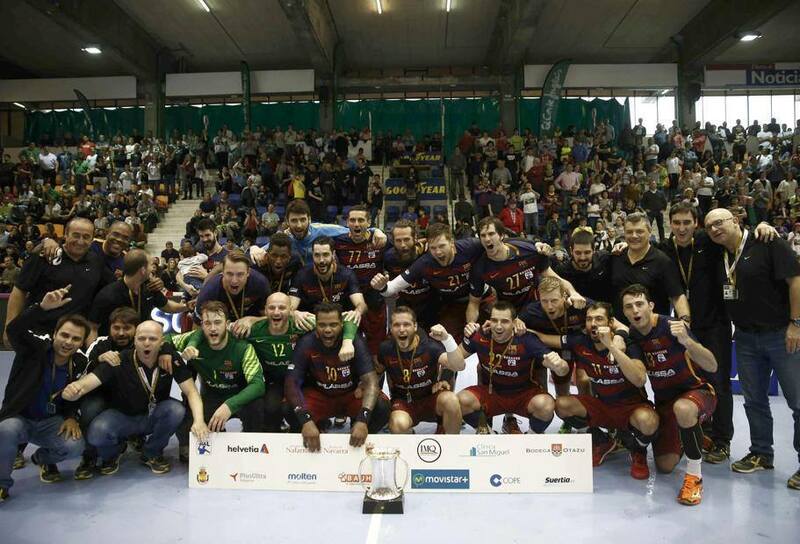 FC Barcelona Lassa win King’s Cup 2016! FC Barcelona Lassa made days after losing VELUX EHF FINAL4 placement, a little bit easier by winning domestic King’s Cup 2016! Xavi Pascual boys had serious rivals in domestic Helvetia Anaitasuna – 33:30, but experience and quality led them to another domestic title. 30 – Helvetia Anaitasuna: Lorger (Sergey Hdez. ); Gastón (3), Bazán, Garza, Costoya (7), Chocarro (3), Silva (8); Del Valle (2), Etxeberría (1), Nadoveza (3), Goñi, Pérez de Inestrosa (1), Ugarte (1), Castro (1). ← Previous Story Gullden joins CLUB 100 – Gorbi still unattainable!